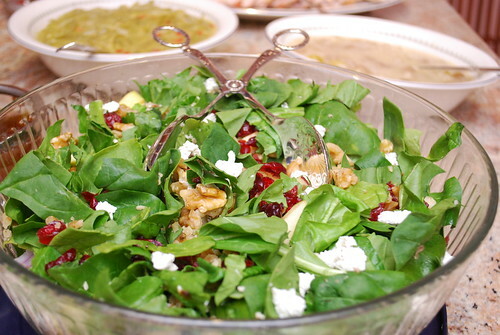 The Baron's sister, Jen, usually brings a great salad to our holiday dinners. She has brought this salad quite a few times, with a few tweaks every now and then. However, the dressing and the combination of a fruit, cheese and nuts always are incorporated. Even the Baron's dad who isn't a huge salad fan definitely loves this salad. I especially like the raspberry vinaigrette, that's made with raspberry jam, oil, and red wine vinegar. Simply combine the dressing ingredients in a covered jar, shake and voila - dressing in seconds! Combine the salad ingredients in a large bowl, tossing to distribute evenly. In a covered jar or bowl, shake or whisk together the dressing ingredients. Pour over the salad or serve on the side. You can make me a salad anytime. This looks so good! Sounds tasty too! I love spinach leaves in my salads! This is a perfect start to Easter dinner! This looks awesome! Love a good salad! This makes me so happy! I love the added cranberries and walnuts! I've been on the hunt for some easter recipes! Love this salad! Simple but full of flavor! I never would have thought to use raspberry jam in dressing. I need try this. A colorful and delicious spring salad...always welcome in our house! Happy Easter to you, Joan! 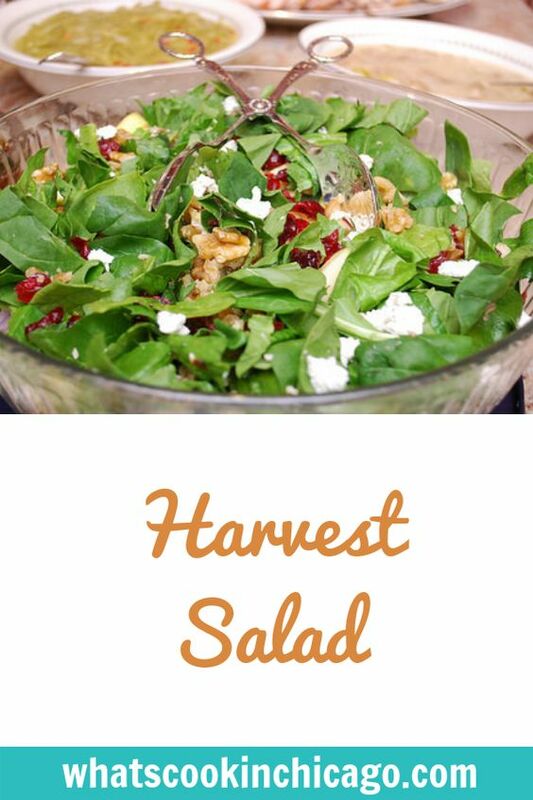 I need to try this salad - it looks so good!! Have a great Easter! Mmmm. I am a salad-a-holic and this one looks so darned good!